villa altona. | owl's house london. 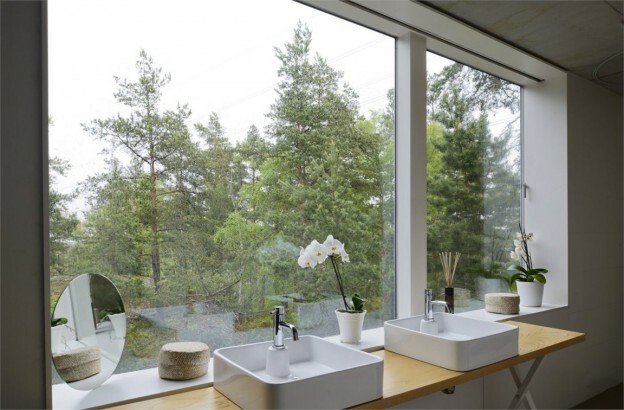 Villa Altona is located on a dramatically sloping site in Sweden, with villas on one side and forest on the other. These site characteristics have clearly generated the form, placement and tones of the building. 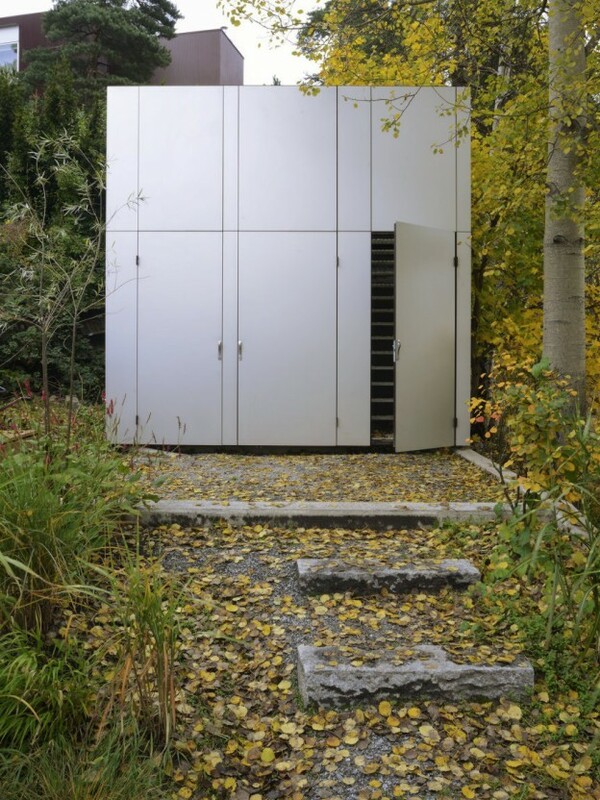 It is a bold, modern structure, with a low pitch roof, covered in sedum. Designed by The Common Office, it is considered one of Sweden’s most interesting buildings by the Swedish Association of Architects. And it’s for sale. 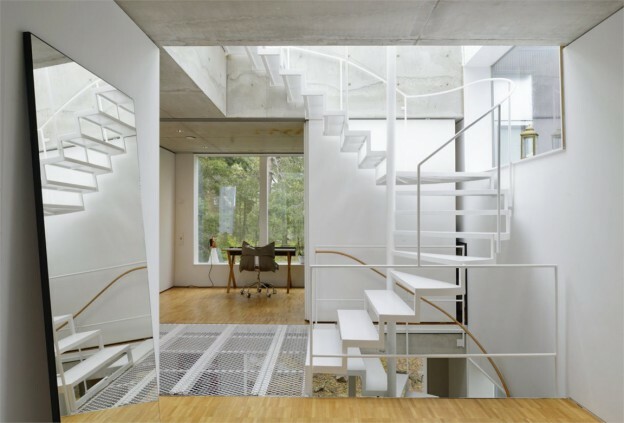 The interior is almost one continuous room, rising up over several levels, connected by a thinly profiled metal stair. At the top, a large, central retractable skylight (providing access to a roof terrace, of course), fills the interior with light and adds transparency to the building. Light abounds, with window walls everywhere. Family and private zones are separated, or not, with large sliding walls. Floor and roof slabs are concrete, cast in situ and left raw. Slender steel columns offer support. A perforated metal floor gives an industrial feel, with the main floor of oak parquet. This is the least successful material to my mind: the sections of parquet too small for the scale of the building. 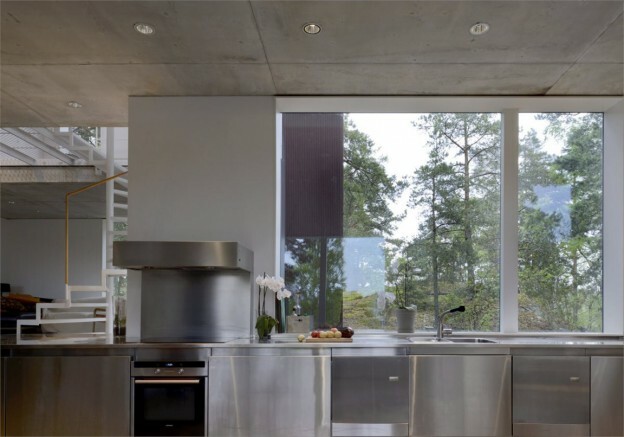 Otherwise the materials are used boldly – stainless steel, mirror, brushed concrete. This entry was posted in wonderful spaces. 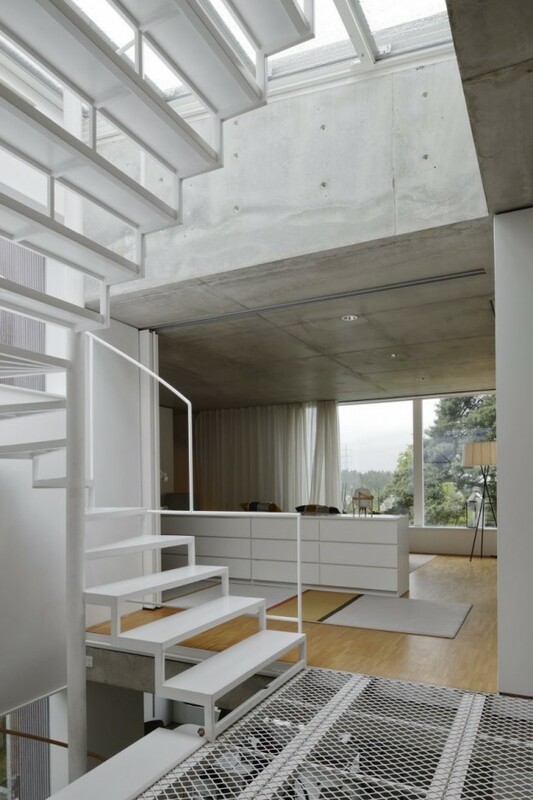 and tagged architecture, concrete, contemporary, industrial, The Common Office, Villa Altona on June 15, 2015 by owls house london.. I think this might be my dream house…one of them. I haven’t visited your blog for a while (life took over), but I’m totally blown away by the images.